On Thursday, Google released a new reference app called Universal Music Player. The app is designed to work on multiple devices and form factors using one codebase. Developers can use this to help them design apps that will work on Android, Android Auto, Android Wear, and Google Cast devices. Think "one size fits all." Using the MediaStyle notifications, MediaSession and the MediaBrowserService found in Android 5.0, the developer can provide users with an app that offers consistent performance on their Android powered phone, watch, tablet, car and television. By learning the tricks implemented by Google with Universal Music, a developer needs to make just a few adjustments to an app to have it ready to run on all form factors. Obviously, this app can help Android developers save time and effort. Who wants to build a different app for each form factor? 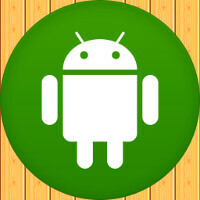 If you are an Android developer, click on the sourcelink below to get started. Universal Music Player shows Android developers how to cover all Android form factors with one codebase. Looks great, but they should make the album art bigger on the lock screen because it looks tiny.